Last June, Kurt Schwabe set out with his Clipper Card to hike the 335 miles of existing San Francisco Bay Trail over the next 30 days, using primarily public transit to get to the trailheads. He also brought along his digital camera to capture his journey. Schwabe was at the opening of his Bay Trail photo exhibit at Oakland City Hall this past Tuesday night, which was also Earth Day. The Bay Trail is also celebrating its 25th Anniversary this year. Schwabe shared his experience of visiting every section of the trail -- from farmland to inner city, lonely paths to bustling transportation corridors -- and all of it bordered by or near San Francisco Bay. His photos show the diverse habitats, wildlife, art and people found along the trail. Part of his inspiration for hiking the trail was to raise awareness and hope that the last 165 miles can be purchased to complete all 500 miles originally planned for it. If you can’t check out the exhibit, you can take a virtual walk with him on his website. He said the most surprising things were the public artworks along the trail, from commissioned work to rogue art. One striking image portrayed a sculpture of a woman striding from a marsh at the Albany Bulb, created by artist Osha Neumann from discarded, scavenged materials. The Blue Trail initiative was also at the Earth Day evening reception. Similar to the educational initiative that seeks to integrate art back into science, technology, engineering and math (STEAM), Blue Trail proposes to bring thought-provoking environmental exhibits to the Bay Area through the collaboration of scientists, designers and artists. They highlighted two projects out of 30 potential projects from a "Design Jam". UC Santa Cruz’s Open Lab is moving forward with one of the projects, “Oceanic Scales: Balance through Biomimicry,” which explores how we can work with nature – phytoplankton in particular. Phytoplankton generates 53% of the world’s oxygen. One other project they’re seeking funding for is the “Hyperaccumulator: Remediation Barge,” which would use oysters and marsh plants to clean toxic dredge materials from the bay and also function as a moveable event space. You can participate in Earth Day cleanup projects or special events around our area, with 160 in Oakland alone! 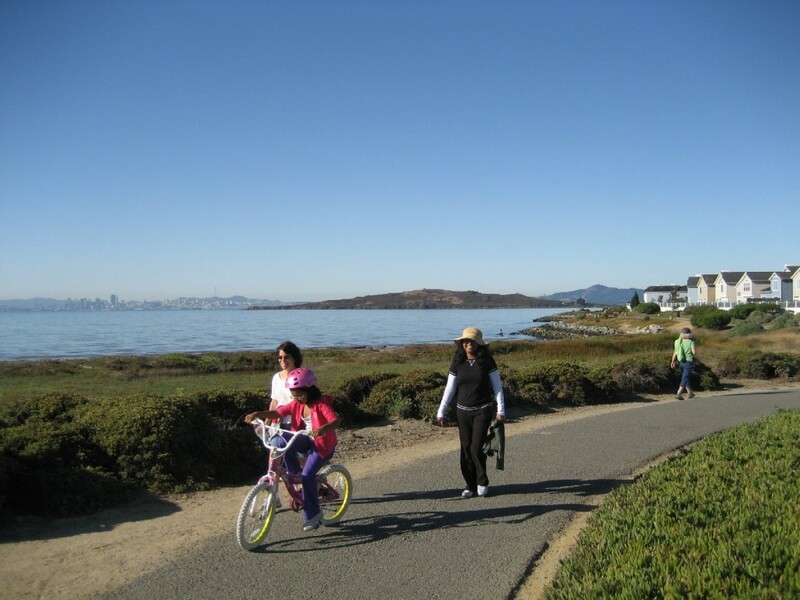 For information on what's happening in your neighborhood, visit Bay Area Earth Day. 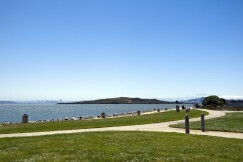 You can also just choose a portion of the Bay Trail near you and enjoy a walk. Bring a trash bag and clean up a little while you're at it. Happy Earth Day!